Recently, Fruth Pharmacy announced it will be partnering with LeSage Water to provide bottled water to all Fruth Pharmacy stores. LeSage Natural Water is a division of the Green Acres Regional Center, Inc. located in Lesage, West Virginia (about 12 miles north of Huntington). Green Acres was founded over 50 years ago to provide job opportunities and training for the developmentally disabled. It is the only non-profit bottling facility of its kind in the United States. Fruth’s founder, Jack Fruth, was a member of the Board of Directors for Green Acres Regional Center from 1970-1977 and served as Chairman. The water is bottled from deep sealed wells on the campus – and unlike most bottled water, which goes through a filter only once, LeSage has a 4-step filtering process. Muller shared stories of several workers and how employment at LeSage Water has helped them. One worker who previously owned his own company, became disabled after a stroke. He now works at LeSage. The work has helped him with motor skills. He is still regaining his speech. Another worker comes in for 3 hours a day, he is autistic and non-verbal, he communicates on a dry-erase board with co-workers. He loves coming to work and interacting with his fellow employees. “Green Acres has been very important to families in this area by providing services for disabled individuals,” Lynne Fruth, president of Fruth Pharmacy explained. “As a former Special Education Teacher, I’ve always had a passion for helping children with disabilities achieve success. Supporting this program is as easy as purchasing a bottle of water. It is a way for businesses and individuals to provide greater opportunities for our disabled citizens. 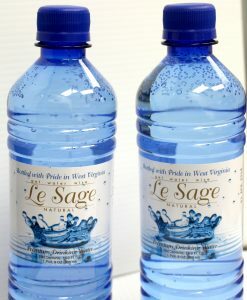 The employees at LeSage take great pride in bottling this outstanding product. Offering this water in our stores is a win for everyone,” Fruth added. She said shoppers can purchase 16.9 oz bottles of LeSage Natural Water for 99¢ in the cooler section of their local Fruth Pharmacy. 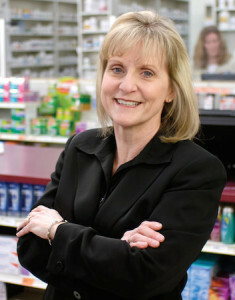 Fruth Pharmacy has been a family owned company for over 65 years. Currently, Fruth Pharmacy has 30 locations in West Virginia, Ohio, and Kentucky.